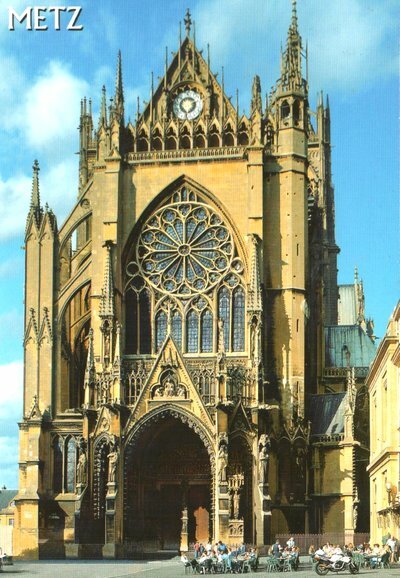 Saint-Étienne de Metz (French for "Saint-Stephen of Metz"), also known as Metz Cathedral, is a historic Roman Catholic cathedral in Metz, capital of Lorraine, France. 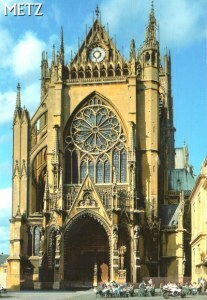 Saint-Stephen of Metz has one of the highest naves in the world. The cathedral is nicknamed the Good Lord's Lantern (French: la Lanterne du Bon Dieu), displaying the largest expanse of stained glass in the world with 6,496 m2 (69,920 sq ft).